What would a drummer's playlist look like? What sounds in his/her universe? 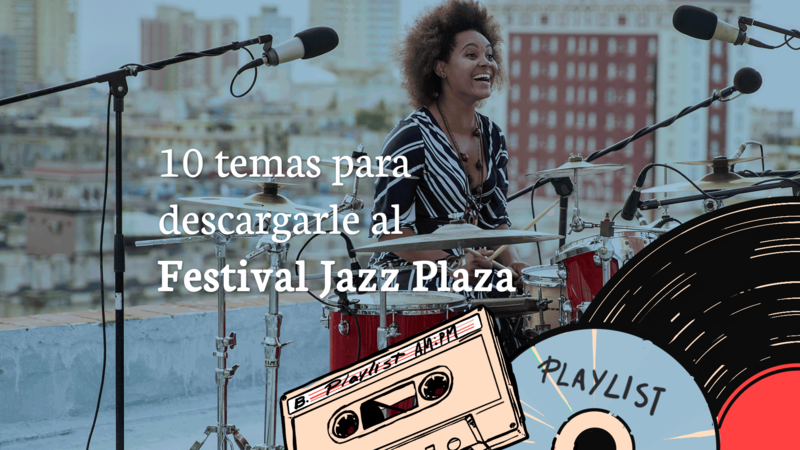 Magazine AM: PM wanted to suggest a playlist of the authorship of Yissy García, now that the Jazz Plaza International Festival 2019, event that in its theoretical program will talk about drums or drums as a vital impulse and heart of jazz. Following the pulse of the author you will discover a provocative and very personal list that includes some of the protagonists of the next days of Festival. Put on your headphones, play it and jam with it! This selection has been made taking into account mainly the groove, the games with setbacks and the musicality of drums. These are tracks that have been marking me since I began to be interested in drums and they have inspired my compositions. They are different styles where the solos do not predominate but the presence of the instrument in the song. For example, #41 Dave Matthews is a very simple song, and I love the details in Carter Beauford's hype, hit hat and box combinations. I also want to highlight the irregularities of time that are shown in the interpretations of Jojo Mayer in To listen is to love and Mark Guiliana in Jersey, very personal stamps that move away from the ordinary. I think it's a playlist for all musical tastes.